It has been designed for easy OEM design integration and plug-and-play replacement for existing analogue scan heads with industry standard mechanical bolt patterns, industry standard power and communication pinouts as well as a range of popular apertures, mirror coatings and lenses. It uses XY2-100 . It is the new intelligent, self tuning digital Laser Scan Head with the technologically advanced digital processor. It has been designed for easy OEM design integration and plug-and-play replacement for existing analogue scan heads with industry standard mechanical bolt patterns, industry standard power and communication pinouts as well as a range of popular apertures, mirror coatings and lenses. The Digi-Cube II uses XY2-100 Communication Protocol as standard. Other digital scan heads available on the market, which are many times more expensive, cannot begin to the match price and performance of the It. In fact this new Laser Scan Head costs less than most analogue models and it’s also IP55 rated. It operating system uses DSP technology to rapidly compute and predict the exact drive impulses required to achieve small mirror movements with the fastest possible acceleration. In fact the only thing that restricts the speed of the galvanometer ( an impressive 1K impressions per second ) are the laws of physics. It is switched on, it performs a detailed self diagnosis and system check to determine the operating parameters of the inpidual galvos. 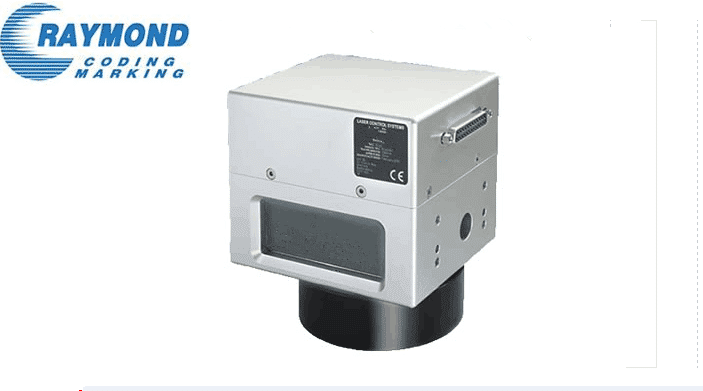 This ensures the accuracy and positioning of the laser marking is precise and error free – something that cannot be guaranteed with analogue models which often have to undergo complicated manual recalibration procedures after prolonged use. This is particularly important in the marking of components in the semi-conductor industry where positional accuracy is paramount. If speed, accuracy, cost-effectiveness and long term reliability are your requirements –– the Digi-Cube II is the intelligent choice.